Feeling salty that you missed out on the Luke Chueh x FLABSLAB “Boba White” round 2? With all the pre-orders arrived and shipped out, Flabslap as put the remaining ones online! As Peter Chow would say, Stop drinking the Haterade and drink BUBBLE TEA! 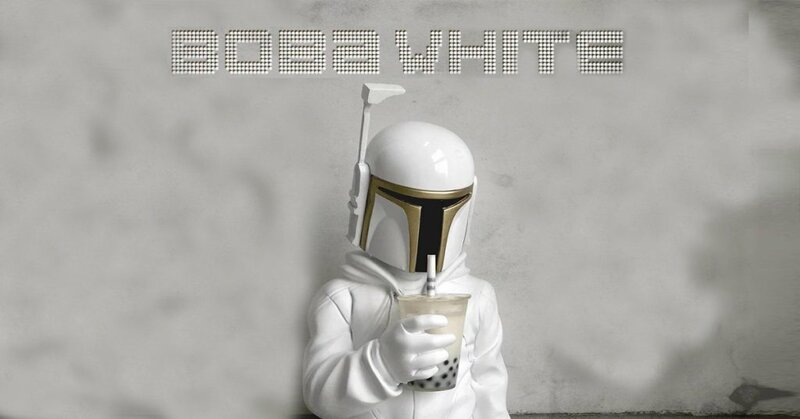 White/cream with gold accents on the BOBA named White aka Proto BOBA saw fans have another glimmer of hope that another release would come to fruition. With flippers selling the OG versions for $995 they should have the dollar signed embedded in their eyes right now as round 2 is up NOW. BOBA (White), the 2nd colorway of the piece based on a painting by Luke Chueh. Standing 9.5″ tall and cast in resin. Since every piece is lovingly hand-made and hand-painted, do note that minor blemishes may be inherent in the pieces.